The discovery of a new “reset” button for the brain’s master biological clock could eventually lead to new treatments for conditions like seasonal affective disorder, reduce the adverse health effects of working the night shift and possibly even treat jet lag. The finding is reported in the Feb. 2 issue of the journal Nature Neuroscience. “We found we can change an animal’s sleep/wake rhythms by artificially stimulating the neurons in the master biological clock, which is located in an area of the brain called the suprachiasmatic nucleus (SCN), with a laser and an optical fiber,” said Douglas McMahon, Stevenson Professor of Biological Sciences at Vanderbilt University who directed the study. Until now, neuroscientists had thought that the firing rate of SCN neurons was strictly an output of the biological clock’s activity. They did not think altering the level of neuronal activity could affect how the clock operates. But the Vanderbilt researchers have shown that stimulating and suppressing the SCN’s neurons in a fashion that emulates their day and night activity levels can force the clock to reset. 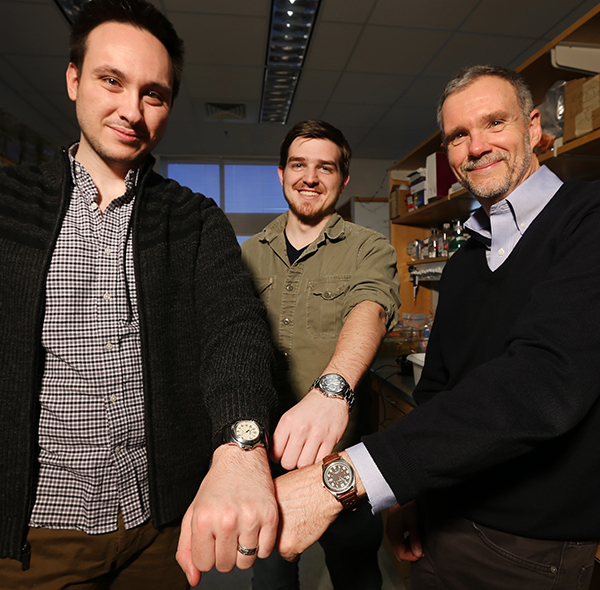 “This puts clock neurons under our control for the first time,” said doctoral student Jeff Jones, who conducted the study with fellow doctoral student Michael Tackenberg. “Of course, this exact approach isn’t ready for human use yet,” said Tackenberg. “But others are making progress toward eventually using optogenetics as therapy.” This would involve an experimental technique that uses viruses to insert new genes into cells, which is considered a promising potential treatment for a number of diseases. 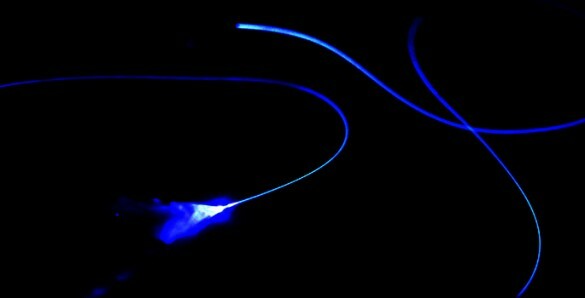 This could be used to implant optically sensitive proteins in SCN neurons that could be activated by an implanted LED. “The fact that the SCN firing rate is a key component of circadian rhythmicity, rather than solely an output as we had thought, shows that we still have a lot to learn about how our biological clocks work,” McMahon observed. The project was supported by National Institutes of Health grants R01 EY015815, T32 MH064931 and F31 NS082213 and NSF Graduate Research Fellowship 0909667.